This article is about the historical and geographical region of Greece. For the ancient region, see Ancient Thessaly. For the Vertigo Comics character, see Thessaly (comics). "Thessalia" redirects here. For the namesake butterfly genus, see Chlosyne. "Thessalian" redirects here. For the ancient Thessalian dialect, see Aeolic Greek. Thessaly (Greek: Θεσσαλία, Thessalía; ancient Thessalian: Πετθαλία, Petthalía) is a traditional geographic and modern administrative region of Greece, comprising most of the ancient region of the same name. Before the Greek Dark Ages, Thessaly was known as Aeolia (Greek: Αἰολία), and appears thus in Homer's Odyssey. In Homer's epic, the Odyssey, the hero Odysseus visited the kingdom of Aeolus, which was the old name for Thessaly. The Plain of Thessaly, which lies between Mount Oeta/Othrys and Mount Olympus, was the site of the battle between the Titans and the Olympians. According to legend, Jason and the Argonauts launched their search for the Golden Fleece from the Magnesia Peninsula. Thessaly was home to extensive Neolithic and Chalcolithic cultures around 6000–2500 BC (see Cardium Pottery, Dimini and Sesklo). Mycenaean settlements have also been discovered, for example at the sites of Iolcos, Dimini and Sesklo (near Volos). In Archaic and Classical times, the lowlands of Thessaly became the home of baronial families, such as the Aleuadae of Larissa or the Scopads of Crannon. In the summer of 480 BC, the Persians invaded Thessaly. The Greek army that guarded the Vale of Tempe evacuated the road before the enemy arrived. Not much later, Thessaly surrendered to the Persians. The Thessalian family of Aleuadae joined the Persians subsequently. In the 4th century BC, after the Greco-Persian Wars had long ended, Jason of Pherae transformed the region into a significant military power, recalling the glory of Early Archaic times. 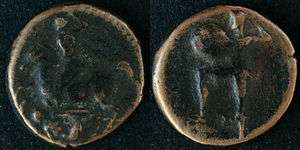 Shortly after, Philip II of Macedon was appointed Archon of Thessaly, and Thessaly was thereafter associated with the Macedonian Kingdom for the next centuries. Thessaly later became part of the Roman Empire as part of the province of Macedonia; when that was broken up, the name resurfaced in two of its late Roman successor provinces: Thessalia Prima and Thessalia Secunda. Pineios river with the church of St. Achilles, patron saint of Larissa, in the background. 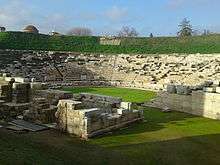 Thessaly remained part of the East Roman "Byzantine" Empire after the collapse of Roman power in the west, and subsequently suffered many invasions, such as by the Slavic tribe of the Belegezites in the 7th century AD. The Avars had arrived in Europe in the late 550s. :29 They asserted their authority over many Slavs, who were divided into numerous petty tribes. :30 Many Slavs were galvanized into an effective infantry force, by the Avars. In the 7th century the Avar-Slav alliance began to raid the Byzantine Empire, laying siege to Thessalonica and even the imperial capital Constantinople itself. By the 8th century, Slavs had occupied most of the Balkans from Austria to the Peloponnese, and from the Adriatic to the Black seas, with the exception of the coastal areas and certain mountainous regions of the Greek peninsula. :36 Relations between the Slavs and Greeks were probably peaceful apart from the (supposed) initial settlement and intermittent uprisings. :63 Being agriculturalists, the Slavs probably traded with the Greeks inside towns. :61 It is likely that the re-Hellenization had already begun by way of this contact. This process would be completed by a newly reinvigorated Byzantine Empire. With the abatement of Arab-Byzantine Wars, the Byzantine Empire began to consolidate its power in those areas of mainland Greece occupied by Proto-Slavic tribes. Following the campaigns of the Byzantine general Staurakios in 782–783, the Byzantine Empire recovered Thessaly, taking many Slavs as prisoners. Apart from military expeditions against Slavs, the re-Hellenization process begun under Nicephorus I involved (often forcible) transfer of peoples. :81 Many Slavs were moved to other parts of the empire such as Anatolia and made to serve in the military. :66 In return, many Greeks from Sicily and Asia Minor were brought to the interior of Greece, to increase the number of defenders at the Emperor's disposal and dilute the concentration of Slavs. :82 Even non-Greeks such as Armenians were transferred to the Balkans. As more of the peripheral territories of the Byzantine Empire were lost in the following centuries, e.g. Sicily, southern Italy and Asia Minor, their Greek-speaking residents made their own way back to Greece. 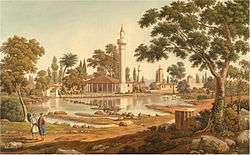 "The Hyperian Fountain at Pherae", Edward Dodwell. In 977 Byzantine Thessaly was raided by the Bulgarian Empire. In 1066 dissatisfaction with the taxation policy led the Aromanian and Bulgarian population of Thessaly to revolt against the Byzantine Empire under the leadership of a local lord, Nikoulitzas Delphinas. The revolt, which began in Larissa, soon expanded to Trikala and later northwards to the Byzantine-Bulgarian border. In 1199–1201 another unsuccessful revolt was led by Manuel Kamytzes, son-in-law of Byzantine emperor Alexios III Angelos, with the support of Dobromir Chrysos, the autonomous ruler of Prosek. Kamytzes managed to establish a short-lived principality in northern Thessaly, before he was overcome by an imperial expedition. Following the siege of Constantinople and the dissolution of the Byzantine Empire by the Fourth Crusade in April 1204, Thessaly passed to Boniface of Montferrat's Kingdom of Thessalonica in the wider context of the Frankokratia. In 1212, Michael I Komnenos Doukas, ruler of Epirus, led his troops into Thessaly. Larissa and much of central Thessaly came under Epirote rule, thereby separating Thessalonica from the Crusader principalities in southern Greece. Michael's work was completed by his half-brother and successor, Theodore Komnenos Doukas, who by 1220 completed the recovery of the entire region. The Vlachs of Thessaly (originally a chiefly transhumant Romance-speaking population)  first appear in Byzantine sources in the 11th century, in the Strategikon of Kekaumenos and Anna Komnene's Alexiad). In the 12th century, the Jewish traveller Benjamin of Tudela records the existence of the district of "Vlachia" near Halmyros in eastern Thessaly, while the Byzantine historian Niketas Choniates places "Great Vlachia" near Meteora. The term is also used by the 13th-century scholar George Pachymeres, and it appears as a distinct administrative unit in 1276, when the pinkernes Raoul Komnenos was its governor (kephale). From 1271 to 1318 it was an independent despotate that extended to Acarnania and Aetolia, run by John I Doukas. In 1309 the Almogavars or Catalan Company of the East (Societas Catalanorum Magna), settled in Thessaly. In 1310, after lifting the siege of Thessalonica, the Almogavars withdrew as mercenaries in the pay of the sebastokrator John II Doukas and took over the country. From there they departed to the Duchy of Athens, called by the duke Walter I. In 1318, with the extinction of the Angelid dynasty, the Almogavars occupied Siderokastron and southern Thessaly (1319) and formed the Duchy of Neopatria. 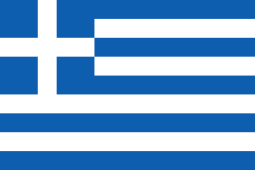 One of the flags used in Thessaly during the Greek War of Independence (designed by Anthimos Gazis). In 1348, it was invaded and occupied by the Serbs under Preljub. After the latter's death in 1356, the region was conquered by Nikephoros Orsini, and after his death three years later, it was taken over by the self-proclaimed Serbian emperor Simeon Uroš. Simeon's son John Uroš succeeded in 1370 but abdicated in 1373, and Thessaly was administered by the Greek Angeloi-Philanthropenoi clan until the Ottoman conquest c. 1393. Ottoman control was disputed by the Byzantines until the 1420s when it was consolidated by Turahan Bey, who settled Turkomans in the province and founded the town of Tyrnavos. The territory was ruled through the Sanjak of Tirhala administrative division during the Ottoman period. 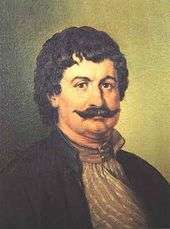 Rigas Feraios, the important Greek intellectual and forerunner of the Greek War of Independence was from the region. He was born in Velestino, near the ancient town of Pherae. In 1821, parts of Thessaly and Magnesia participated in the initial uprisings in the Greek War of Independence, but these revolts were swiftly crushed. 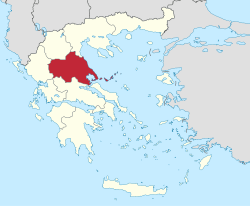 Thessaly became part of the modern Greek state in 1881, after the Convention of Constantinople except around town of Alasonya remained in Ottoman hands till 1912. It was briefly captured by Ottomans during Greco-Turkish War of 1897. After Treaty of Constantinople (1897), Greece was forced to cede minor border areas and to pay heavy reparations. Remaining part of Thessaly at hands of Ottomans finally was regained by Greeks during First Balkan War in 1912. Thessaly plain and including Peneus. Volos view from Pelion mountain. Thessaly occupies the east side of the Pindus watershed, extending south from Macedonia to the Aegean Sea. The northern tier of Thessaly is defined by a generally southwest-northeast spur of the Pindus range that includes Mount Olympus, close to the Macedonian border. Within that broken spur of mountains are several basins and river valleys. The easternmost extremity of the spur extends southeastward from Mt. Olympus along the Aegean coast, terminating in the Magnesia Peninsula that envelops the Pagasetic Gulf (also called the Gulf of Volos), and forms an inlet of the Aegean Sea. Thessaly's major river, the Pineios, flows eastward from the central Pindus Range just south of the spur, emptying into the Thermaic Gulf. The Trikala and Larissa lowlands form a central plain which is surrounded by a ring of mountains. It has distinct summer and winter seasons, with summer rains augmenting the fertility of the plains. This has led to Thessaly occasionally being called the "breadbasket of Greece". The region is well delineated by topographical boundaries. 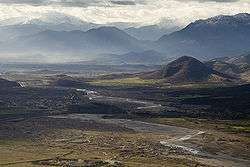 The Chasia and Kamvounia mountains lie to the north, the Mt. Olympus massif to the northeast. To the west lies the Pindus mountain range, to the southeast the coastal mountains of Óssa and Pelion. Several tributaries of the Pineios flow through the region. According to the census conducted by ESYE in 2011, the population of the region of Thessaly is 732,762 and represents 6.8% of the total population of the country. A 2.8% decrease in the population since 2001 was noted, but Thessaly remains the third largest region in the country in terms of population. The population break-down is 44% urban, 40% agrarian, and 16% semi-urban. A decrease in the agrarian population has been accompanied by an increase in the semi-urban population. The metropolitan area of Larissa, the capital of Thessaly, is home to more than 230,000 people, making it the biggest city of the region. The alluvial soils of the Pineios Basin and its tributaries make Thessaly a vital agricultural area, particularly for the production of grain, cattle, and sheep. Modernization of agricultural practices in the mid-20th century has controlled the chronic flooding that had restricted agricultural expansion and diversification in the low-lying plains. Thessaly is the leading cattle-raising area of Greece, and Vlach shepherds move large flocks of sheep and goats seasonally between higher and lower elevations. In the last few decades, there has been a rise in the cultivation of dried nuts such as almonds, pistachios, and walnuts, especially in the region of Almyros. An increase in the number of olive oil trees has been also observed. The nearly landlocked Gulf of Pagasai provides a natural harbor at Volos for shipping agricultural products from the plains and chromium from the mountains. There are a number of highways such as E75, and the main railway from Athens to Thessaloniki (Salonika) crosses Thessaly. The region is directly linked to the rest of Europe through International Airport of Central Greece, which is located in Nea Anchialos, a small distance from Volos and Larisa. Charter flights link the region and bring tourists to the wider area, mainly in Pelion and Meteora. The new infrastructure includes a brand new terminal ready to serve 1500 passengers per hour and new airlanes. Although the historical region of Thessaly extended south into Phthiotis and at times north into West Macedonia, today the term "Thessaly" is identified with the modern administrative region which was established in the 1987 administrative reform. With the 2010 Kallikratis plan, the powers and authority of the region were redefined and extended. Along with Central Greece, it is supervised by the Decentralized Administration of Thessaly and Central Greece, based at Larissa. 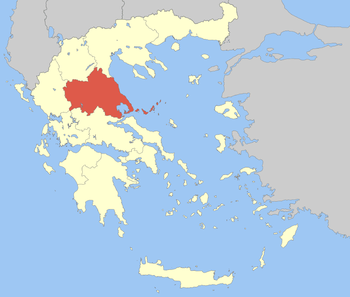 The region of Thessaly is divided into five regional units (four were pre-Kallikratis prefectures), Karditsa, Larissa, Magnesia, the Sporades and Trikala, which are further subdivided into twenty-five municipalities. The region's governor is Konstantinos Agorastos (Nea Dimokratia), who was elected in the 2010 local elections and reelected in 2014. ↑ "Demographic and social characteristics of the Resident Population of Greece according to the 2011 Population - Housing Census revision of 20/3/2014" (PDF). Hellenic Statistical Authority. 12 September 2014. ↑ "A Short History of Ancient Greece". Retrieved 24 December 2014. ↑ History of Humanity: From the seventh century B.C. to the seventh century A.D. UNESCO. 1996. p. 252. ISBN 978-92-3-102812-0. ↑ Fine, John Van Antwerp (1991-05-15). The early medieval Balkans: a critical survey from the sixth to the late twelfth century. University of Michigan Press. p. 79. ISBN 978-0-472-08149-3. Retrieved 9 February 2011. ↑ Fine, John Van Antwerp (1991-05-15). The early medieval Balkans: a critical survey from the sixth to the late twelfth century. University of Michigan Press. p. 216. ISBN 978-0-472-08149-3. Retrieved 9 February 2011. ↑ Fine 1994, p. 32. ↑ Fine 1994, pp. 63–64. ↑ Fine 1994, p. 68. ↑ Fine 1994, p. 114. ↑ Kazhdan, Alexander (1991). "Vlachs". In Kazhdan, Alexander. The Oxford Dictionary of Byzantium. Oxford and New York: Oxford University Press. pp. 2183–2184. ISBN 978-0-19-504652-6. ↑ Kazhdan, Alexander (1991). "Vlachia". In Kazhdan, Alexander. The Oxford Dictionary of Byzantium. Oxford and New York: Oxford University Press. p. 2183. ISBN 978-0-19-504652-6. Wikimedia Commons has media related to Thessalia.